Perception Of An Oxymoron: Have You Tested Your Faith? Here are few paragraphs from the novel Contact by Carl Sagan. 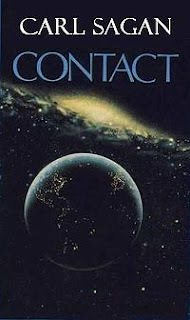 The plot is that of conversation between the protagonist radio astronomer, Ellie and two prominent religious heads of United States, Joss and Rankin. Ellie: "So far as I know you've never tested your faith? I'm willing to do it for mine. Here, take a look out that window. There's a big Foucault pendulum out there. The bob must weight five hundred pounds. My faith says that the amplitude of a free pendulum­­how far it'll swing away from the vertical position­­can never increase. It can only decrease. I'm willing to go out there, put the bob I front of my nose, let go, have it swing away and then back toward me. If my beliefs are in error, I'll get a five­hundred­pound pendulum smack in the face. Come on. You want to test my faith?" "Truly, it's not necessary. I believe you," replied Joss. Rankin, though, seemed interested. He was imagining, she guessed, what she would look like afterward. "But would you be willing," Ellie went on, "to stand a foot closer to this same pendulum and pray to God to shorten the swing? What if it turns out that you've gotten it all wrong, that what you're teaching isn't God's will at all? Maybe it's the work of the Devil. Maybe it's pure human invention. How can you be really sure?"